I try to travel as much as possible. I’m lucky enough to live in a city (Nantes) where I can buy really cheap plane tickets for European capitals or regional capitals so I try to travel at least one weekend per month. Last October, when I just landed in Pisa for my girlfriend’s birthday, I noticed that, as usual, I didn’t plan my visits or I didn’t really check what were the best places to go, the best restaurants or the coolest bars. That’s the way we travel. But, once arrived at our destination, we have to find a cool blog for advice or to pray to have a helpful Airbnb host who’ll be able to recommend us stuff to do. Back home, that’s how I got the idea of TravelTxt: I wanted a simple and cheap service to send me a SMS with advice at the moment I arrive in a new city. On TravelTxt.net you select the city you’ll visit, you enter your mobile phone number and the date of your arrival. Then, you’ll receive a simple text message (SMS) with advice for cultural activities, restaurants and places to go out. After launching it, I got tons of positive feedbacks and, most of the time, people added that they wouldn’t be able to do that kind of project themselves. From the moment I sat in from of my computer to the moment the complete service was online, it took me 3 hours and 0 line of code. Zero. Line. Of. Code. So basically it means that anybody could launch a service like TravelTxt without any technical knowledge. Once the idea on paper, I had to find a way to test it without spending too much time and money, to verify people would accept to pay to receive this kind of texts. 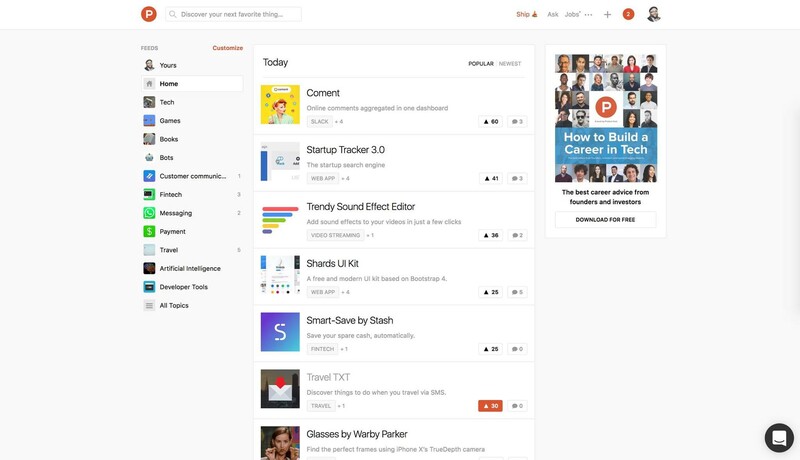 I had already used Zapier in the past for several pro and personal projects. Zapier, if you don’t know it, is a service which enables you to plug different other services to each other, without having to use the APIs yourselves of code anything. It’s like IFTTT, but with more pro inputs/outputs. So, I just had to find the right “in” and “out” services available on Zapier to receive the information from my future users and send them via SMS on the right day. For SMS, it was easy: Twilio is the world leader in programable SMS technology, used by thousands of company in the world including iAdvize, where I work. And Twilio is available on Zapier. 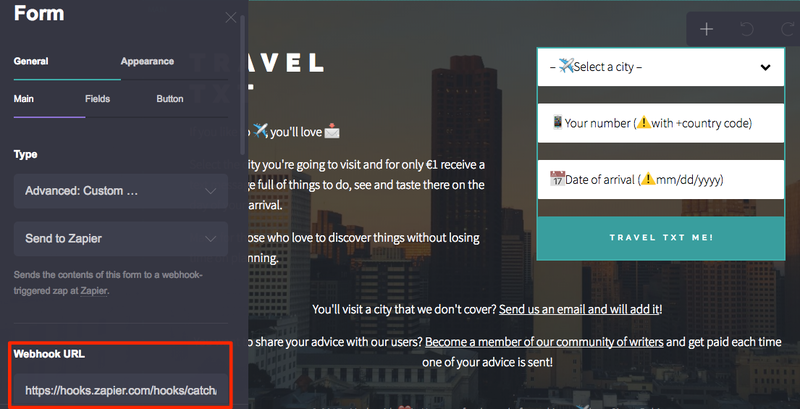 Since I wanted TravelTxt to send the text messages on the day of my users’ arrival, I needed a way to store the content of the advice and the date at which the advice would be sent. And what better than a calendar to manage dates? Google Calendar being available on Zapier, it’s the tool I’m using to manage all the schedule of sendings. And finally, I needed a simple webpage for the users to select their city, enter their phone number and date of arrival, and pay :) Actually, that could have been the trickiest part if I wanted to code nothing. Fortunately, I found a great service called Carrd.co which does exactly that, by having a Stripe module to manage payments. Carrd.co is not a service available on Zapier so — warning, it will be the most “technical” part of the project — I had to use Zapier webhooks to get information from Carrd.co and use them in other tools. Designing the website with Carrd.co is really easy. On the form, you can select a Custom > Send to Zapier action for the button. Then, just paste the webhook URL given by Zapier. You get this webhook URL from Zapier, when you create a new succession of actions (called a Zap). I’ll create two types of Zaps: one to receive the information from Carrd.co and add them to Google Calendar, and another to get the information from Google Calendar to send them on the right day to Twilio to send the SMS. I have one Zap per supported city, which contains the advice content for the city. The number of the user is the title of the event in Google Calendar and the advice the description. On Twilio, you just need to add credit to your account and buy a phone number. I chose an American one to be sure that American users (and European ones) will receive the SMS. And that’s it! The users information are sent from Carrd.co to Zapier (through the webhook), are filtered by the Zaps to check the city and sent to Google Calendar. And at the date of the Calendar event, are sent to Twilio to be delivered by SMS to the users. 3 hours of configuration, content writing from my own travel memories or from blogs, tests and various accounts creations. As I said, the main purpose of that was to test the reactions and see if people would be ready to pay for it. So I shared the link on my Twitter and Facebook and some people bought txt right away, which was pretty cool! A few hours later, my friend Alex. Delivet sent me a message asking if he could post it on Product Hunt, the famous website for product launch and… hunting. The morning after, TravelTxt was featured on the homepage and upvoted 177 times! ProductHunt has been the primary source of traffic, and revenues, for TravelTxt, especially at the beginning. It was the first time I tried it to launch a product and it’s been a great way to learn that I had tons of stuff to improve on the website to get a better conversion rate. Carrd.co costs $1,60/month, Zapier $20/month, and the cost of Twilio depends on the number of SMS your send. So for less than $30 (€25) you can bootstrap your project and test it live. They are. I don’t make tons of money with TravelTxt but, without more promotion than the Product Hunt publication, it pays for itself. Maybe I will try Facebook or Google ads to generate more traffic and I definitely need to improve the landing page (by adding advice examples for instance) to improve the conversion rate but the first results show that that’s something useful for the users and that they’re ready to pay for it. Now, I have several ideas to improve TravelTxt. Then, I want to launch a community of writers. People who travel and get paid each time one of their advice is shared in a txt. A lot of people already applied to be a part of it from a simple link on the home page and it will be a great way to have quality content without having to produce it myself. Finally, I would like to launch a newsletter to make people come back and use the service again after their trip or to stay in the mind of the people coming on the website but not buying a txt because they don’t have any trip planned for the moment.